Phnom Penh, Cambodia, February 18, 2009. Thirty years after the end of the brutal Cambodian revolution of the Khmer Rouge, the first international genocide tribunal was convened in Phnom Penh on February 17, 2009, to try Duch, the head of Tuol Sleng Prison where over 18,000 Cambodians died from 1975-1979. Up until this point, most Cambodians just endured living with their ghosts, never feeling a sense of closure or cultural permission to grieve their losses. 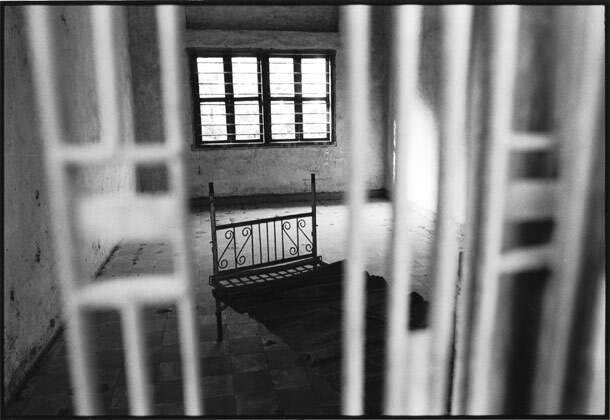 This is only one of many torture rooms at Tuol Sleng Genocide Museum where over 18,000 Cambodians were tortured and killed.